Receiving a DUI in Michigan carries strict penalties and fees that can cost a driver high sums of money and their driving privileges. Also referred to as an OWI, operating while intoxicated, Michigan DUI laws mirror a few other states in this regard. In addition, Michigan law on DUI cite an additional charge for what they refer to as OWVI, or operating while visually impaired. This charge is levied if a driver has any combination of drugs or alcohol in their system that inhibit their ability to see, and as such, operate a motor vehicle. A driver can be charged with the OWVI if a test is taken resulting in any amount of a schedule one drug in their system. If a driver under the age of 21, or one with a commercial license, receives a DUI in Michigan, the permitted .08 is lowered to .02 and .04 respectively. A first offense for a DUI in Michigan, although less strict than some states, carries strict penalties that can include; jail of up to ninety-three days, fines from one-hundred to five-hundred dollars in addition to a yearly one-thousand dollar fine for two years, a suspended license for up to six months (with an eligibility for restricted driving privileges after 30 days), and six points on the driver's license. 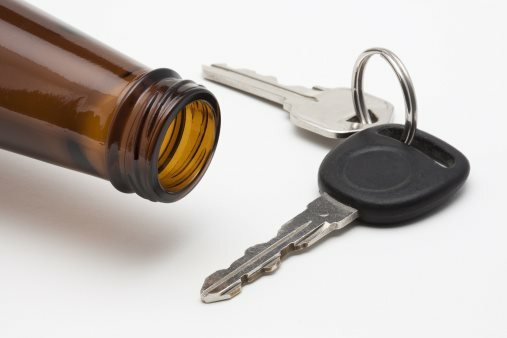 Michigan DUI laws also allow for the possibility of community service up to 350 hours, the installment of an ignition interlock device, or even total vehicle immobilization. Receiving a second DUI in Michigan can correlate to jail-time for five days up to one year, a suspended license for one year, six points on a driver's license, removal of license plates and vehicle immobilization for three to six months, an ignition interlock device, and fines from two-hundred to one-thousand dollars in addition to the yearly one-thousand dollar fee for two years. Michigan DUI laws also stipulate a possibility of community service for one to three months. Being charged with a third DUI in Michigan is a felony, carrying with it probation with one to twelve months in jail, one to five years imprisonment, driver's license revocation for a minimum one year, the confiscation of license plates with the vehicle immobilized for three to six months, fines of two-hundred to one-thousand dollars in addition to the yearly one-thousand dollars for two years, and possible community service for two to six months.